QUEENS, NY, 12/9/17 – Just two days before World Human Rights Day 2017, fifteen UN peacekeepers were attacked and killed, many more injured, in the Congo. As is typical on social media, comments were mixed and often vitriolic. 816 New York’s founder has launched a petition on change.org to disrupt this hateful narrative. The Washington Post published the story to their Facebook feed. As always happens, comments rained down: some calling for the United Nations to be disbanded, some that the United States abandon all foreign intervention, some projecting hateful bigotry, some expressing compassion. To date, perhaps ironically, it is the Top Comment on the post, with 48 reactions and 20 replies, mostly in support of her sentiment. Watching the momentum build throughout the afternoon, she drafted a change.org petition, “Disrupt Hate! News organizations : Disable commenting on Facebook & Instagram,” aimed at major news outlets, Mark Zuckerberg, and others who might catalyze this change. The pitch maintains that it is not a call for censorship, but rather a plea to address the problem these organizations both recognize yet sideline every day. Williams acknowledges that disabling commenting on two social media platforms will not disrupt the hate narrative on social media sites like Reddit or Twitter, where commenting is structured differently. The petition is, at minimum, meant to serve as a conversation-starter in response to the apathy or inaction of key corporate decision makers. “Zuckerberg and the news outlets know about this problem. They’ve expressed their mea culpas while shrugging their big, corporate shoulders. Then Russia, escalating violence, hate speech, and 100 other things happen. More mea culpas. Still the content churns out and no one does anything,” says Williams. As a brand strategist and marketing professional of over 15 years, Williams understands the tactics, competition, and data mining inherent to social media. She has heavily studied topics relating to: social media’s prevalence in the terrorism community, the impact social media has had on weaker-willed and less informed individuals, and the like. Perhaps Zuckerberg could tweak the formula for news pages: Add more weight to the emoji and share reactions so news organizations don’t lose out on exposure – but they’ll also have to level the playing field, applying the change to all pages in the category. Commenting still exists for the private user – and they can irritate or inform their friends the same way they already do by sharing the post – but on the news outlet’s page itself… is it even necessary? There is only one way to find out, and that is to gather more signatures and attract the attention of news and social media organizations. 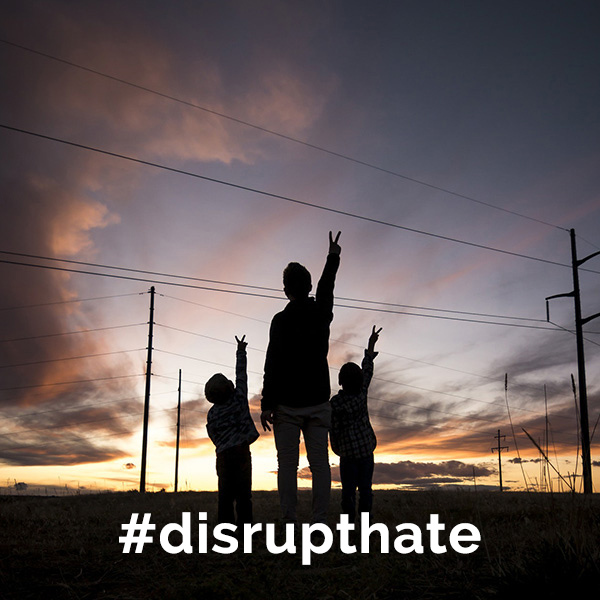 To sign and share the petition, please visit change.org and use hashtag #disrupthate on Twitter and Instagram.